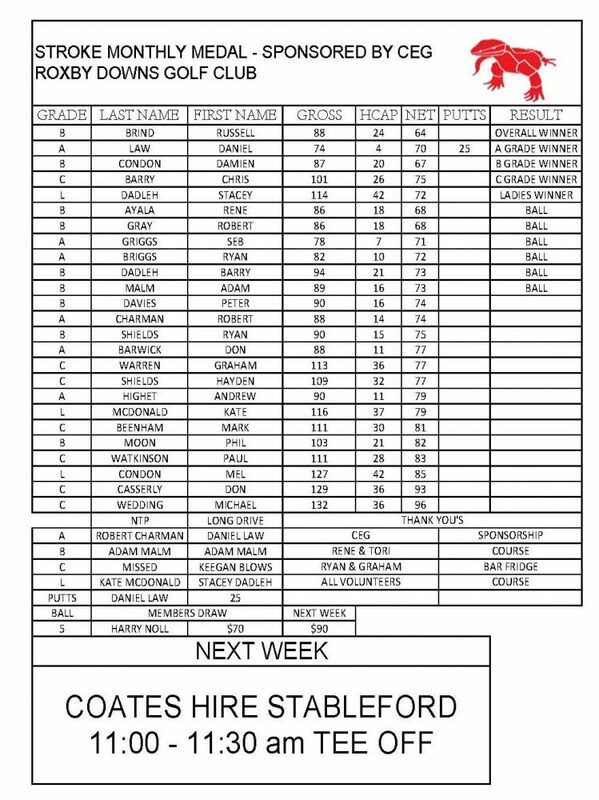 Please find the results below for the weekends Stableford competition. 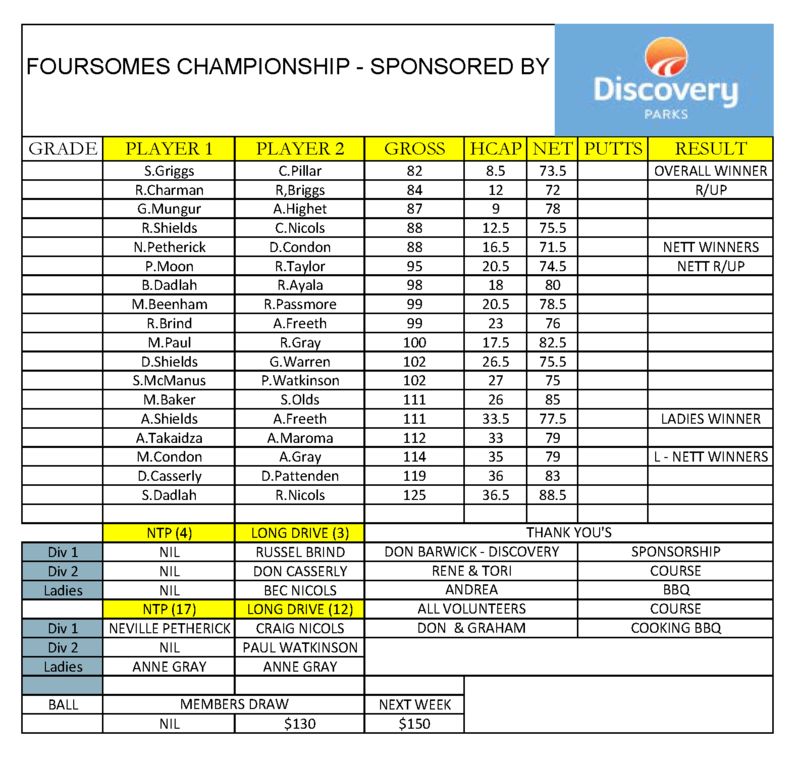 Thanks again to Tim and ABChem for their contintued support of the Roxby Downs Golf Club. 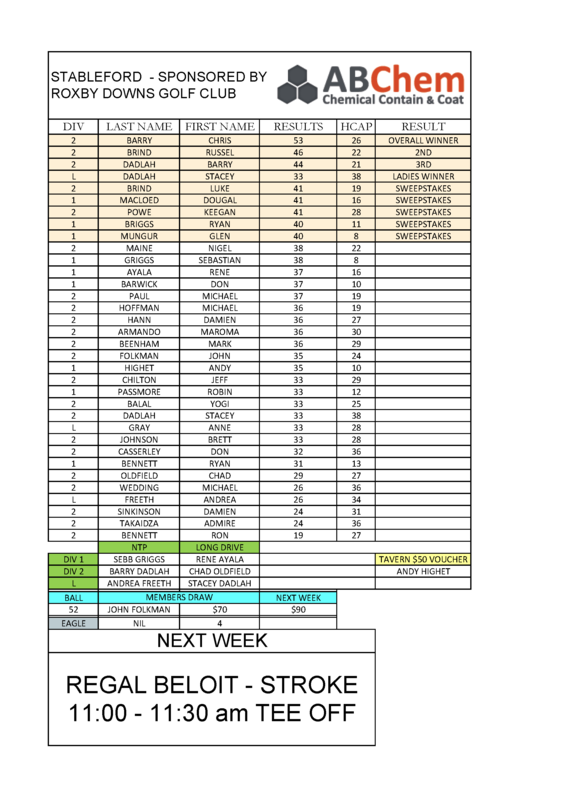 This week we have the May Monthly Medal Stroke competition sponsored by Regal Beloit, please register before 11:15am, tee-off’s from 11:00am-11:30am. 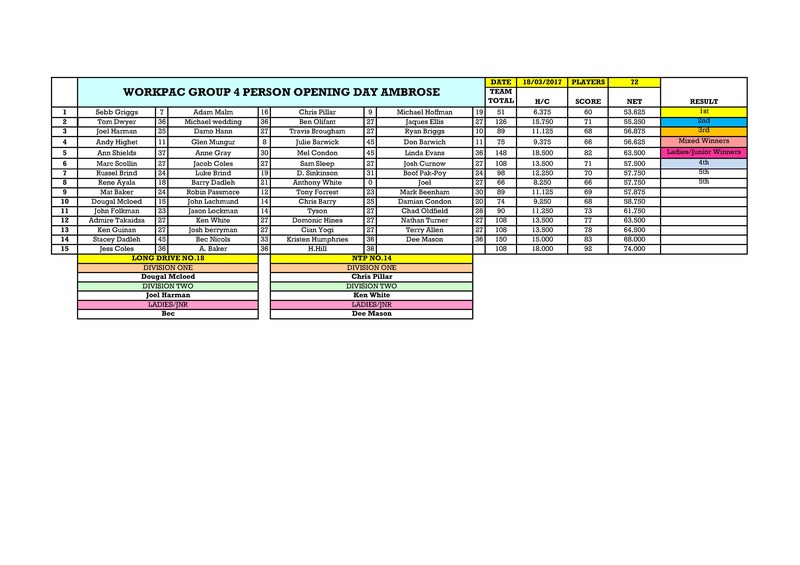 If you would like to play at the early start time (8:30am), please contact the captains before Friday. Pies and Pasties are available on competition days for $4, please place your money in the tin and put your chosen snack in the pie warmer! A reminder that the carpark at the rear of the club is reserved for Captains, President, Treasurer and Secretary on Saturdays. Thanks again to Randall and the team at Atlas Copco for their continued Sponsorship. 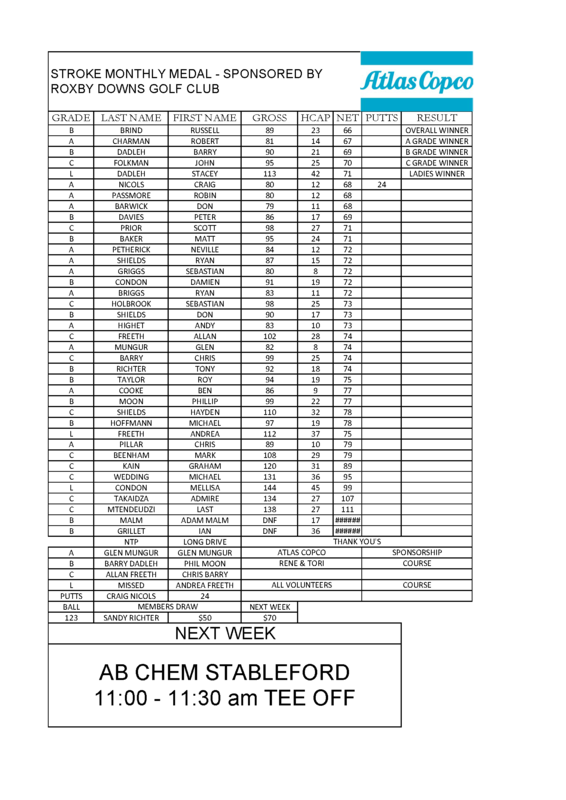 Congratulations to the Monthly Medal winner Russell Brind, next week’s event is a Stableford event sponsored by AB Chem, with an 11:00-11:30am tee-off, to register for an early tee off (8:30am), please contact the captains Glen or Michael before Friday. Another year, another hugely successful SANDVIK Desert Classic has been completed. A huge thank you again to Clint Gow-Smith, Darren Male and the entire SANDVIK crew for sponsoring and supporting an amazing weekend, without your support it wouldn’t have been possible, and again must be thanked for donating proceeds of the chip-in competitions to the Roxby Kindy. Another thank you has to go the Woomera Golf Club for hosting on the Saturday, their small crew of volunteers had the Woomera course in tip-top shape, and their hospitality throughout the day and night with food and beverages was amazing, we are all looking forward to coming back next year. Another thanks to all the RDGC/SANDVIK volunteers helping Rene and Tori have the course in great condition for Sunday, and the food, beer cart and bar volunteers throughout the day on Sunday. To Wade Hooper for his promotion of the event and running the chip in competitions throughout the weekend, thanks and we hope you can continue to support the event in years to come. Another big thank you to the APEX Postie Bash crew for cooking up a much needed breakfast on Sunday morning. Last but not least, thanks to all the players who supported the event throughout the weekend, we hope you will all spread the word about this great event and hope to have even more teams next year! Congratulations to all the winners over the weekend, and congratulations to our overall champions Mark Huntley and Jason Habel from Streaky Bay, who took out the weekend with a Desert Classic Record -18 Under (124) gross score, what a performance! 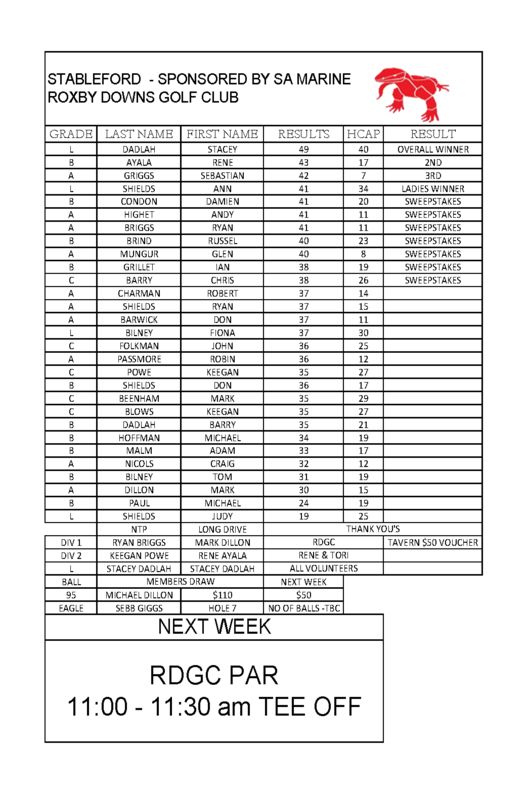 See below for all the winners over the weekend, and find a link below for the full results sheet. 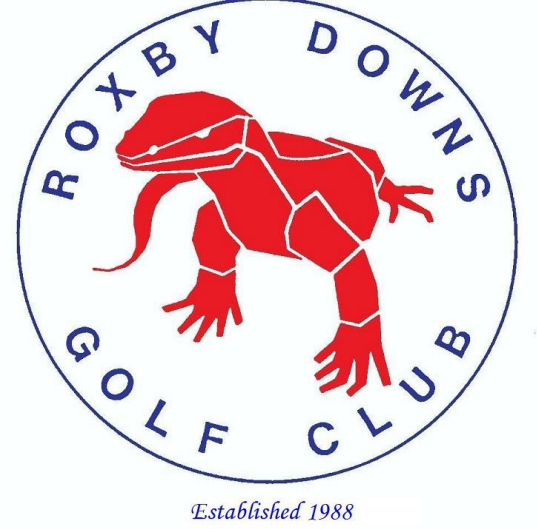 Also a big congratulations to Roxby Downs Golf Club life member Don Shields who took out the Sunday Chip-In competition and has won a trip to the Gold Coast, thanks to SANDIVK! 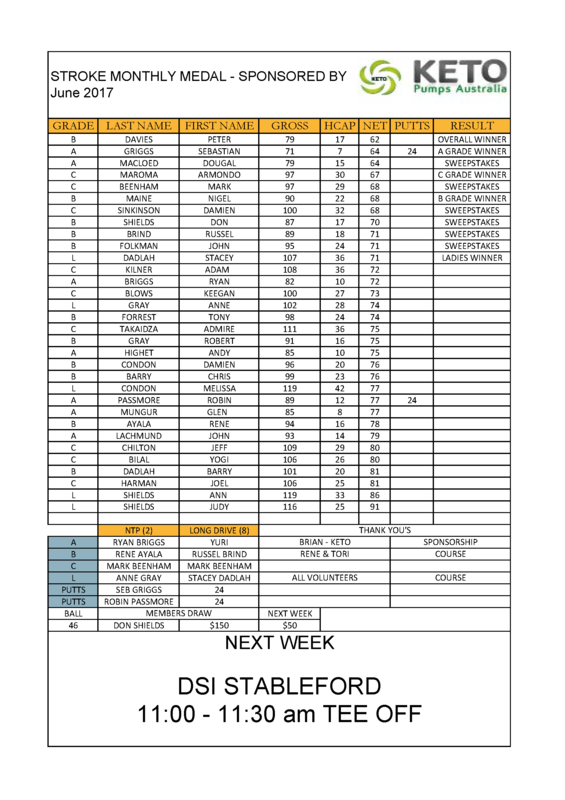 Next week we have the Stroke Monthly Medal for April, with names in by 11am, please contact the captains before Friday afternoon to arrange an early tee off. 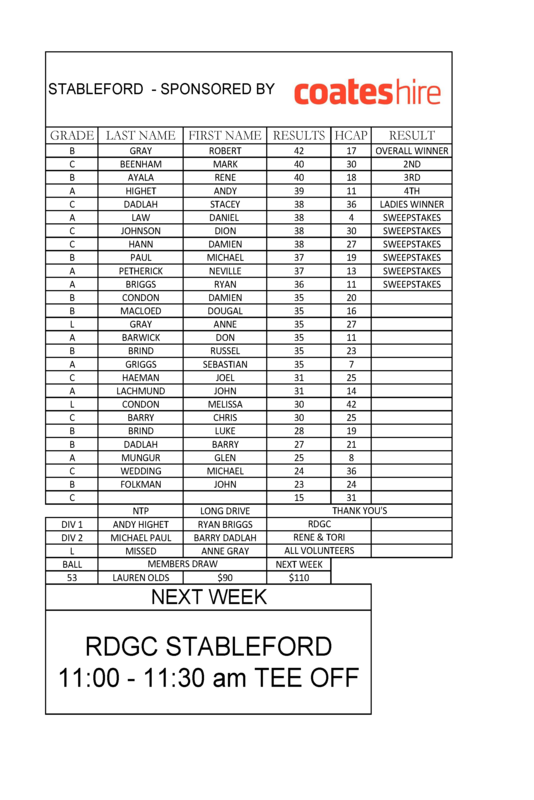 RDGC Season Opening Day was a great success with hot conditions and a total of 15 teams. The season was opened by RDGC Co Captain Glen Mungur hitting the first ball of the day. 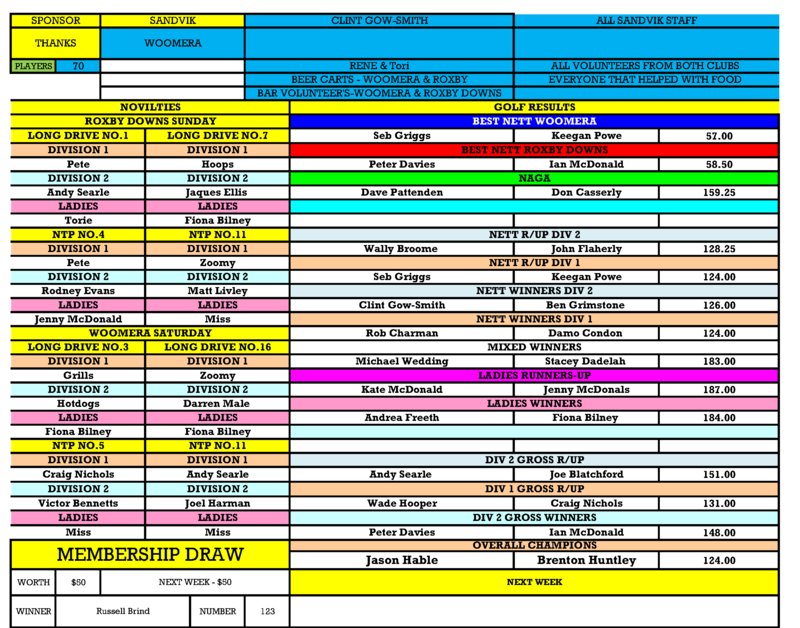 All of the volunteer’s representing the Golf Club & Course to a very high standard. Congratulations to all winners on the day.